A colleague recently told me about a poem that was well known in the health and social care circles. The poem titled "A Crabbit Old Woman" or also know as "Look Closer Nurse" was apparently written by an elderly lady residing in a hospital in Dundee and only discovered after the lady died and a member of staff gathered together her personal possessions from her room. In the poem the lady expresses how she feels and how she believes she is perceived by others, basically a nonentity. It is a sad reflection and an uncomfortable read. The poem made a huge impact on the member of staff and she wanted to share it with others so it was typed up and circulated to every nurse in the hospital. The poem also had a big impact on me so I decided to do a bit of research as to who wrote it and to see if I could find out any more about her and her life. What I found was a bit of a surprise. The poem was in fact written by a nurse, Phyllis McCormack in 1966 and not by "A Crabbit Old Woman". According to her son the poem was only intended for the hospital newsletter, she submitted it anonymously with the title "Look Closer Nurse". I am not sure what impact Phyllis expected the poem to have but I am sure she could never have imagined what happened, the poem took on a life of its own. To the extent that it has not only become a legend within health and social care circles but it has also, over the years, found itself on the English curriculum for students and become a topic of discussion online, drawing comparisons with other literary works. I don't suppose we will ever know the author's inention or indeed if Phyllis was the author. 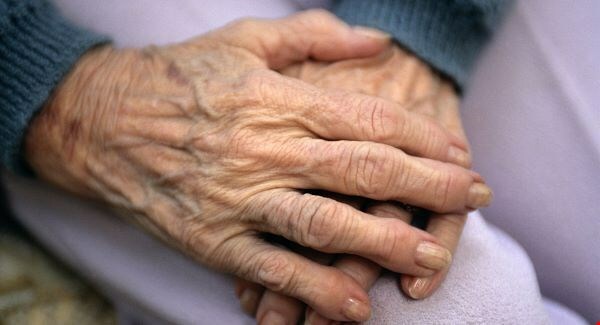 But one thing is for sure, it highlights the importance of maintaining the dignity of the lives of the elderly, not just as paitents in a hospital, but for all older people and for that alone it deserves to continue to be shared for the next 50 years. When you say in a loud voice, "I do wish you'd try"